Tennis is one of the most loved sports in India. Like the game of cricket, tennis was brought to India by British army officers and government officials in the early 1880s. Though the games was widely popular among the British, it started to attract the local people when it was played in clubs and tournaments. When Indians started to play, the officials started to organise regular tournaments such as 'Punjab Lawn tennis Championship' at Lahore (Now in Pakistan) in 1885. 'Bengal Lawn Tennis Championship' at Calcutta (now Kolkata) in 1887 and the 'All India Tennis Championships' at Allahabad in 1910. Later, many Indian players emerged to play international games such as BK Nehru (1905) and Sardar Nihal Singh (1908). Some players including M Saleem, Fayzee brothers and Jagat Mohan Lal also made it to last 16 stages at the Wimbledon Tennis Tournament in London. According to All Indian Tennis Association, Mohd. Saleem of Lahore won the Punjab Championship in 1915 and thereafter consecutively from 1919 to 1926. In 1917 NS Iyer lifted the Bengal Championship. In 1919 Mr. Nagu picked up the prestigious singles crown at the All India Tennis Championship at City's Gymkhana Club at Allahabad. Henceforth the Indians started playing the game with greater distinction. In Davis Cup ties between 1921 to 1929 India beat among others France, Romania, Holland, Belgium. Spain and Greece. Top Indians M. Sleem, Fayzee brothers AH Fayzee and AA Fayzee, Cotah Ramaswamy and Krishna Prasad beat a large number of ranked European players and teams and brought glory to the country. Ghaus Mohammad became the first Indian to reach the quarterfinals at Wimbledon in 1939, but he lost to American champion Bobby Riggs. He is a retired tennis player who was among the world's leading players in the 1950s and 1960s. He was twice a semifinalist at Wimbledon in 1960 and 1961, reaching as high as World No. 6 in Lance Tingay's amateur rankings. Krishnan received the Arjuna award (1961), Padma Shri (1962) and the Padma Bhushan(1967). 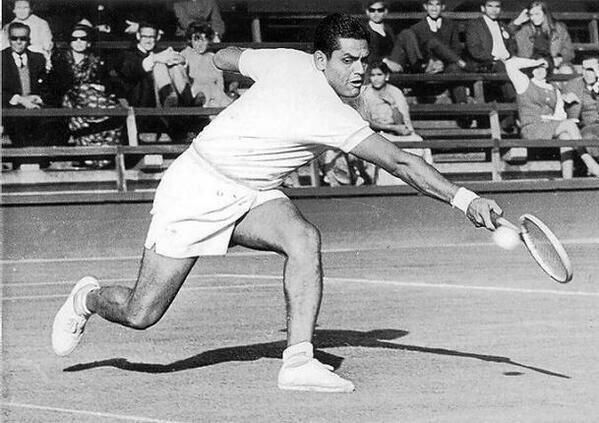 He is a former tennis player and was the first Indian to turn fully professional in sport. 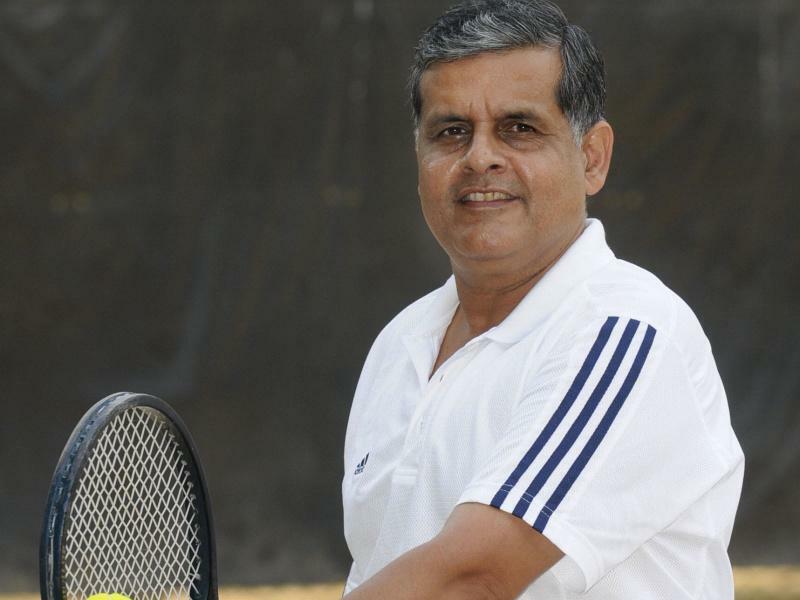 He was part of the Indian Davis Cup team that reached the finals in 1974 and 1987. Amritraj had a career singles win-loss record 384–296, winning 16 singles and 13 doubles titles. He reached his career high ranking in singles of World No. 16 in July 1980. In 1981, he reached the quarterfinals of Wimbledon before losing in five sets to Jimmy Connors after being up 2-0. He beat John McEnroe in the first round of Cincinnati Masters in 1984. He was awarded the Padma Shri in 1983. 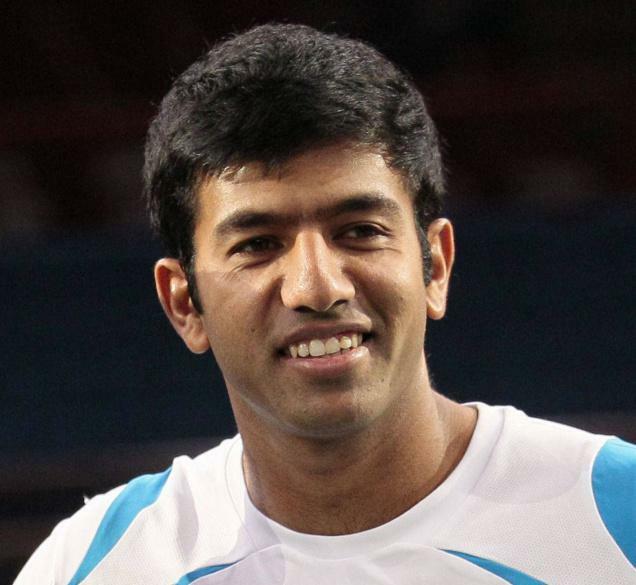 He is the son of Ramanathan Krishnan and former professional tennis player from India. He won the boys' singles titles at both Wimbledon and the French Open in 1970's. He went on to reach three Grand Slam quarter-finals in the 1980s and was a part of the Indian team which reached the final of the Davis Cup in 1987. Krishnan also beat then World No. 1, Mats Wilander, at the 1989 Australian Open. He became India's Davis Cup captain in 2007. He is a former tennis player. 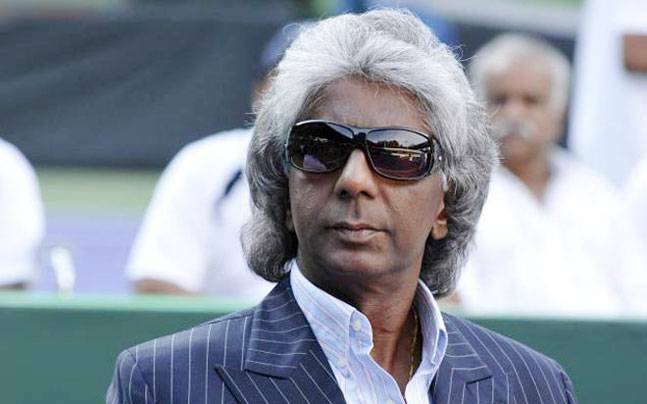 He along with his brothers, Vijay Amritraj and Ashok Amritraj , were among the first Indians to play in international tennis tournament. In 1976, Anand and Vijay were semifinalists in the Wimbledon men's doubles. Anand was part of the Indian team for 1974 Davis Cup. He is an Indian professional tennis player who is considered to be one of the best doubles and mixed doubles players of all time, having achieved a career Grand Slam in each discipline. He has won eight doubles and ten mixed doubles Grand Slam titles. 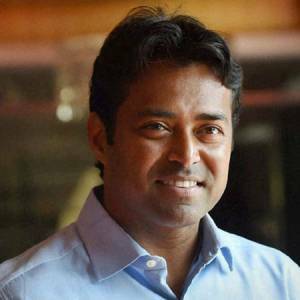 He won the Bronze Medal at the 1992 Olympics in Men’s Singles. 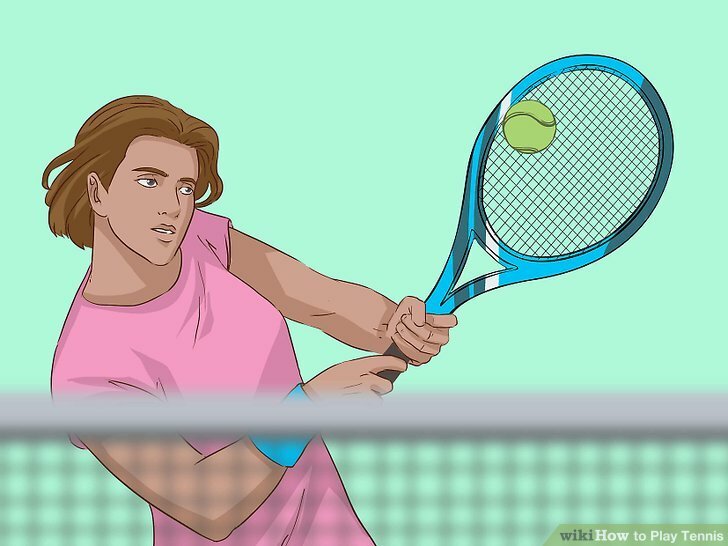 He holds a career Grand Slam in men's doubles and mixed doubles, and achieved the rare men's doubles/mixed doubles double at the 1999 Wimbledon tournament. He was awarded the Rajiv Gandhi Khel Ratna award (1996–97), Arjuna Award (1990), Padma Shri (2001) and Padma Bhushan (2014). He is a retired Indian professional tennis player. He became the first Indian to win a Grand Slam tournament (with Rika Hiraki) in 1997. With his win at the Australian Open mixed doubles in 2006, he joined the elite group of eight tennis players who have achieved a career Grand Slam in mixed doubles. He is also the founder of International Premier Tennis League. 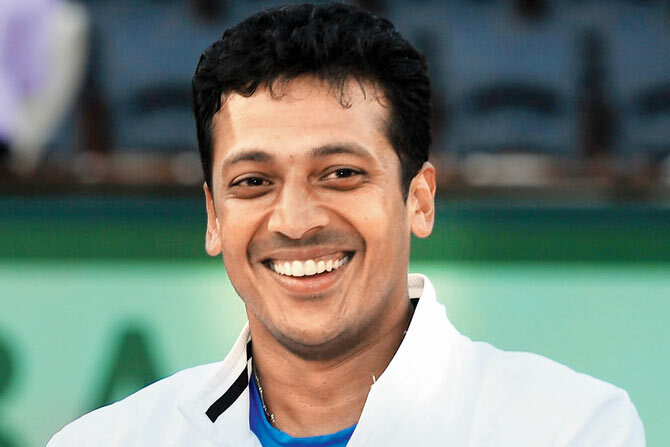 Mahesh Bhupathi is known for his big serve. According to Nadal, his strong back hand makes him the best for an Ad Court player. Roger Federer acclaims him as one of the best players of all time. He is an Indian professional tennis player. His singles career high ranking was World No. 213 in 2007 and his career high ranking in doubles was World No. 3 on 22 July 2013. Recently, most of his appearances in professional tournaments have been in doubles matches. He is a member of the Indian Davis Cup team since 2002. She is an Indian professional tennis player. She has won six Grand Slam titles in her career. Between 2003 and 2013, she was ranked by the WTA as India's No. 1 player in both the categories. Sania mirza is one of the most successful female Indian tennis player ever and one of the highest-paid and high-profile athletes in the country. She was awarded Arjuna Award (2004), Padma Shri (2006), Rajiv Gandhi Khel Ratna (2015) amd Padma Bhushan (2016). AITA is the governing body of tennis in India. It was established in 1920 and affiliated by International Tennis Federation and Asian Tennis Federation. It operates all of the Indian national representative tennis sides, including the India Davis Cup team, the India Fed Cup team and youth sides as well. AITA is also responsible for organising and hosting tennis tournaments within India and scheduling the home international fixtures. Praveen Mahajan is the current president of AITA. Roquebrune-Cap-Martin (France), April 20 (IANS) Spain's Rafael Nadal managed to eke out a 7-6 (7-1), 6-3 win against Guido Pella of Argentina to secure a berth in the semi-finals of the Monte Carlo Masters, an event he has won 11 times. View More..
Bengaluru, April 17 (IANS) Former women's World No. 1 tennis player Arantxa Sanchez Vicario was on Wednesday announced as the international event ambassador for IAAF Gold Label Tata Consultancy Services World 10K here. View More..
Mumbai, April 13 (IANS) Roland-Garros, BNP Paribas and BIGBEN on Saturday announced Rohit Thakur as the winner of second edition of India leg of the Roland-Garros eSeries, an e-sport competition played on the Tennis World Tour video game. 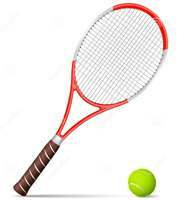 View More..
Kolkata, April 13 (IANS) Local girl Yubrani Banerjee failed to impress as she faltered in the women's singles final of the Central Excise Open AITA Men's & Women's National Ranking Tennis Tournament, at the synthetic courts of the Bengal Tennis Association Complex on Saturday. View More..
New Delhi, April 13 (IANS) Ace tennis player Sania Mirza feels India has made significant improvement in empowering women but there is sill more to be accomplished. View More..
New Delhi, April 12 (IANS) Tennis might not be the most popular sport in the country, but former World No. 1 Justine Henin wants to change that and create a sense of love for the game when she visits India later this the month. View More..
London, April 12 (IANS) The speaker of the UK's lower house of parliament John Bercow has expressed his admiration for tennis stars Rafael Nadal of Spain and Roger Federer of Switzerland and said he will be interested in watching the upcoming ATP Masters 1000 tournament live in Madrid. View More..
New Delhi, April 12 (IANS) The French Tennis Federation (FFT), organisers of the worlds premier clay court event -- Roland-Garros, in association with the All India Tennis Association (AITA), on Friday announced that the fifth edition of the 'Roland-Garros Junior Wild Card Series will be held here between April 29 and May 1. View More..
Kolkata, April 12 (IANS) Local girl Yubrani Banerjee set up a summit clash with Telangana's Shaikh Humeira at the Central Excise Open AITA Men's & Women's National Ranking Tennis tournament at the synthetic courts of the Bengal Tennis Association Complex here on Friday. View More..
Kolkata, April 10 (IANS) Qualifier Vidit Vagela's dream run continued on Wednesday as he entered the men's singles quarterfinal of the Central Excise Open AITA National Ranking Tennis Tournament at the synthetic courts of the Bengal Tennis Association Complex here. View More..
Kolkata, April 9 (IANS) Local girl Yubrani Banerjee survived a scare to eventually scrape past unseeded Kaavya Sahwney 2-6, 6-3, 6-3 in the opening round of the women's singles event at Central Excise Open AITA Men's & Women's national ranking tennis meet on Tuesday. View More..
Kolkata, April 8 (IANS) Fifth seeded Renne Singla of Haryana made an early exit in the opening round of the Women's Singles event at the ongoing Central Excise Open AITA Men's and Women's National Ranking Tennis Tournament at the synthetic courts of the Bengal Tennis Association Complex here on Monday. View More..
Monterrey (Mexico), April 7 (IANS) Spain's Garbiñe Muguruza defeated Slovakia's Magdalena Rybarikova 6-2, 6-3 to reach the final of the Monterrey Open, where she will clash with Belarusian Victoria Azarenka to defend her title, reports Efe news. View More..
Miami, March 31 (IANS) Australia's Ashleigh Barty capped off the best week and a half of her career by rolling past Karolina Pliskova 7-6 (7-1), 6-3 to win the Miami Open. View More..
Miami, March 30 (IANS) Switzerland's Roger Federer has advanced to the men's final of the Miami Open after defeating Canadian Denis Shapovalov 6-2, 6-4 in the semi-finals. View More..
Sydney, March 28 (IANS) The city of Perth in Western Australia (WA) will no longer play host to the Hopman Cup, Tennis Australia confirmed on Thursday. View More..
Miami, March 27 (IANS) Spain's Roberto Bautista Agut, ranked 25th in the world, became the surprise of the ninth day at the Miami Open Masters 1000, overcoming the world number one Serbian Novak Djokovic 1-6, 7-5 and 6-3 to advance to the quarter-finals. View More..
Miami, March 26 (IANS) Taiwan's 27th seed Su-Wei Hsieh stunned Denmark's 13th seed and former world number one Caroline Wozniacki with a 6-3, 6-7 (0) 6-2 scoreline on Monday and advanced to the Miami Open quarterfinals. View More..
Washington, March 24 (IANS) Hsieh Su-Wei of Taiwan staged a major surprise as she stunned world number one Naomi Osaka of Japan to reach the round-of-16 at the Miami Open for the first time in her career. View More..